Jo Abdul-Rahim graduated from the University of Exeter with a BSc (Hons) in Mathematics and Mathematical Statistics. She is a qualified Chartered Accountant and a member of the Institute of Chartered Accountants in England and Wales. She worked in practice at Deloitte in London where she gained experience in auditing a diverse range of FTSE listed UK businesses. She later worked as group accountant for Rexam plc before returning joining Middlesex University in 2004. 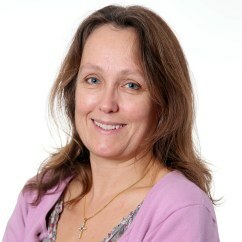 Jo is currently the Director of Accounting and Finance Programmes in the Business School. She maintains strong links with the main accountancy bodies and she continues to work within the profession advising individuals and small businesses. She is the Treasurer of the Parents' Association of her local secondary school as well as a member of her church finance committee. Jo specialises in teaching financial reporting and accounting, drawing on her professional qualification and practical experience. Advanced Financial accounting is highly technical module which carries exemptions from the main accountancy bodies. The topics covered include consolidation, international accounting, corporate social responsibility and accounting for leases, provisions, non-current assets, inventory and financial instruments. Jo has previously taught financial accounting at all undergraduate levels and at postgraduate level as well as taxation to undergraduate accounting and finance students. "Using Pacioli's pedagogy and medieval text in today's introductory accounting course"(co-authored with Sangster, A., Stoner, G., Franklin, E. and Alwis, D)accepted by "Journal of Accounting Education" for publication in 2014.